there is a spot for you. Youth ministry wouldn’t exist if it weren’t for volunteers. Life Teen came into existence at Holy Trinity by the hands, energy, and hearts of a group of volunteers. The same story continues today, and to keep it going week-in and week-out, it requires a team of people who are still willing to give of themselves and their time to help students discover a faith and life they were created to live. We have found that students respond well to adults who are genuinely interested in their lives, their humor, their celebrations, and their pains. It is from safe and healthy relationships that we establish a rapport that leads students deeper into a personal relationship with Jesus and His Church. Think you might be interested in being a part of making this happen? Don't let the assumption of what it takes to work with students stop you from considering a role in our ministry. There are lots of ways you can contribute. Scroll down to read about our many volunteer opportunities! The core team’s purpose is to simply LOVE students, and to be present in the lives of high school students at Sunday Lifenights and beyond. If you’re passionate about true relational ministry, Core may be for you! We all remember it -- junior high can be a tough time (check your yearbook photo if you need a reminder!). Our JHigh group leaders are there to listen, encourage, love, and build relationships with Junior high students every Sunday night between October and April. Teens love food. We love teens. It’s simple math (and a simple job!). If you’ve got 2 hours to serve dinner on even just ONE Sunday this year, this is a perfect role for you! Looking for a way to connect on a smaller-scale with students? Dry Bones Society might be for you. DBS groups are made up of students who meet weekly to pursue deeper conversations and relationships. We want to WOW everyone who walks into the room during one of our events. Cool environments help students engage more deeply in the content we share with them during a Lifenight or Jhigh event. Want to help us make it happen? Do you have a gift for leading people deeper into prayer through song? Whether your skills are on guitar, drums, bass, keys, strings, vocals, or something we’ve never heard of, consider auditioning for our music ministry! Our AV team takes our 5pm Masses and events to the next level! 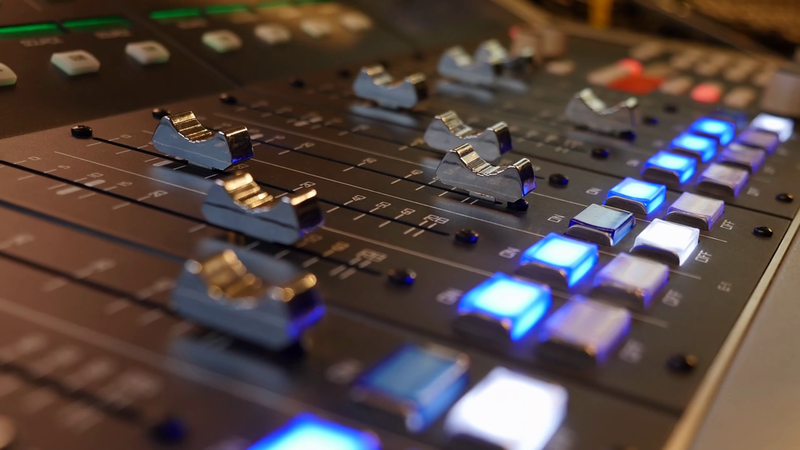 If you have experience running a soundboard, we’d love to have you on our team. Want a job that requires less training? We’ll teach you to run our lyrics during 5pm Mass or even just help the band clean up for 15 minutes after Mass is over. Twice a year we host retreats for junior high students led by our high school students (Luke 18 in the spring, and Timothy 4 in August). We are always in need of families to host sleep homes, or volunteers to help serve food at a meal during the weekend! Our next retreat date is Feb. 22nd - 24th, 2019.